itS mY LiFe !!!!!!... : What is IBU? Infosys Technologies is one of my favorite companies - largely because of the inspiring leadership and also because I started off my proffessional life here. Soon after I joined in 2004, the company was re-organised into different industry verticals. Almost every Infoscion today is a part of one of this vertical known as IBUs. I used to forget the full form of IBU initially when they were formed. And gradually I had drilled it into my mind. But recently that information betrayed me. The full form which I knew for so long - "Independent Business Unit", was wrong. So I decided to ask my friends and ex-colleagues if they knew what IBU meant. The results were interesting. The question was posed to 20 people - including ex-infoscions, present infoscions who joined along with me, some seniors and some young people with less than 3 years of experience. 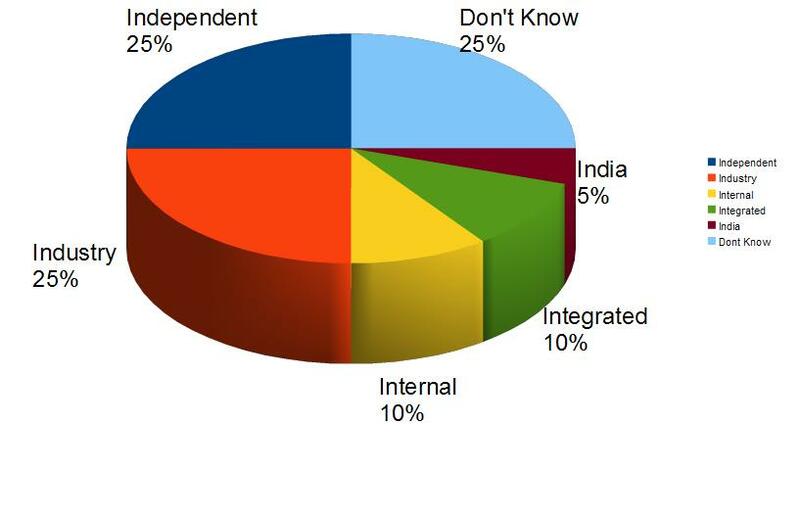 3 answers formed the majority - 25% each for "Independent", "Industry" and "Dont know". (that was the I of the IBU. Everyone knew that BU stood for Business Unit). The correct answer according to the intranet @ Infy is "Industry Business Unit". Yes, 20 people out of more than a lakh is a totally illogical sample size for a survey to provide any kind of conclusion or evidence. But it may be a fodder for thought for some intervention by HR @ Infosys. P.S: A special thanks to my friend V at Infosys for quickly getting the responses from people around him. P.P.S: I have a strong feeling that it used to "Independent" earlier. Even a very senior manager who now has left Infy replied "Independent"
Update: Amit just pointed towards this Client Presentation (Slide 7) where IBU is Independent Business Unit... and this presentaion where it is "Industrial". In Business World the definition is "Integrated". Seems like no one knows!! !